Jordan is preparing for invasions by Islamic terror groups by arming Bedouins in Syria and Iraq to prevent incursions, reports say. Jordan is gearing up for a possible invasion by Islamic terror groups, local media reported Thursday. 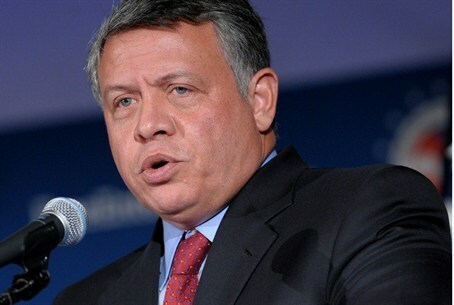 According to reports, King Abdullah II, on a tour this week of border areas near Iraq and Syria, offered to arm Bedouin tribes living in those areas - on both sides of the border - to fight against Islamic State and Jabhat al-Nusra, which threaten Jordan from the east and north. Abdullah's concern has been growing in recent weeks, reports said, over the fact that after 3,000 bombing raids by the US and its allies, ISIS has not been beaten back – and seems only to get stronger. With the organization solidifying its rule in much of Iraq and Syria = and in line with its pledge to expand its “Islamic caliphate” to the entire world, starting with the Muslim countries - Abdullah believes that Jordan is high up on ISIS's list for an attempted takeover. Meanwhile, Jordan faces another danger from the north. The Al-Nusra group, a fundamentalist organization associated with Al Qaeda, controls much of the area on the other side of the Syrian border. This group, too, has expansionist plans, and the open frontier between Syria and Jordan is almost an open invitation to incursions by the group. During a tour of the border areas on June 15, Abdullah stated that it was Jordan's obligation “to assist Arab tribes in Iraq and Syria,” hinting that he would rely on the tribes as a first line of defense against incursions by ISIS and Al-Nusra. The tribes living on both sides of the border have close ties, and Abdullah believes that they would aggressively defend their areas from invasion by the Islamist groups, reports said. Abdullah's declaration set off rumors in the Arab media that Jordan was preparing to seize border areas on Iraq and Syria in order to fend off invaders. That plan was denied by Ahmad Almoumani, an advisor to Abdullah. “Jordan has no plans to expand at the expense of neighboring countries, who we respect and value. We hope to preserve our own independence, and our borders," he stressed.